pyTivo lets you stream most videos from your PC to your unhacked TiVo. It uses the HMO server protocol, so no hacking of the TiVo is required. It will guess if your video is 4:3 or 16:9 and pad your video if it thinks it is needed. It will not transcode an mpeg that is supported by your TiVo. 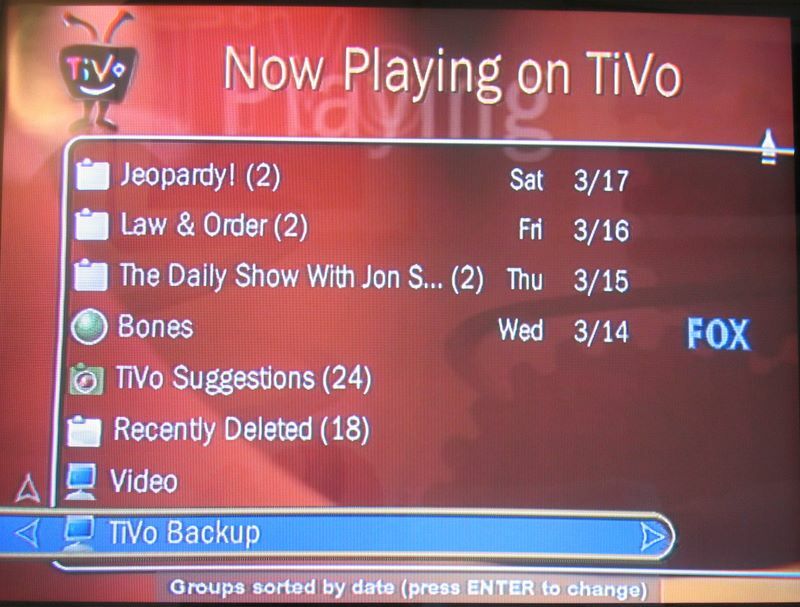 It will stream TiVo recordings (.tivo).